Welcome to BOOGIE JAM ONLINE! BWC Family Member Knuckles Nelson shows he is 'BWC4LIFE' w/his awesome new tattoo in honor of Boogie & Boogie's Wrestling Camp! 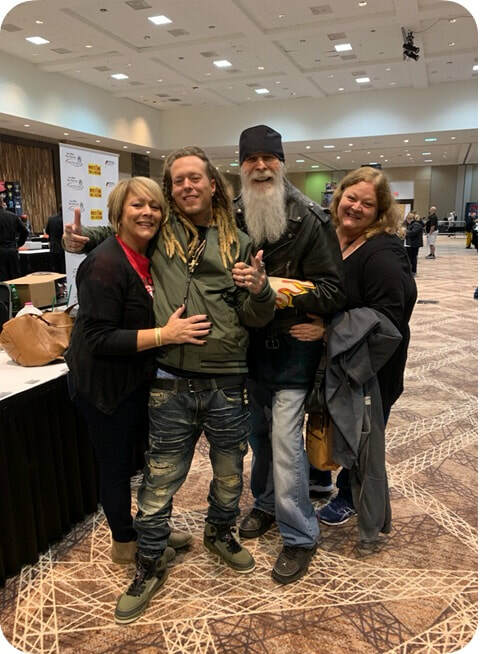 Thanks for sharing the great pic, KNUX! 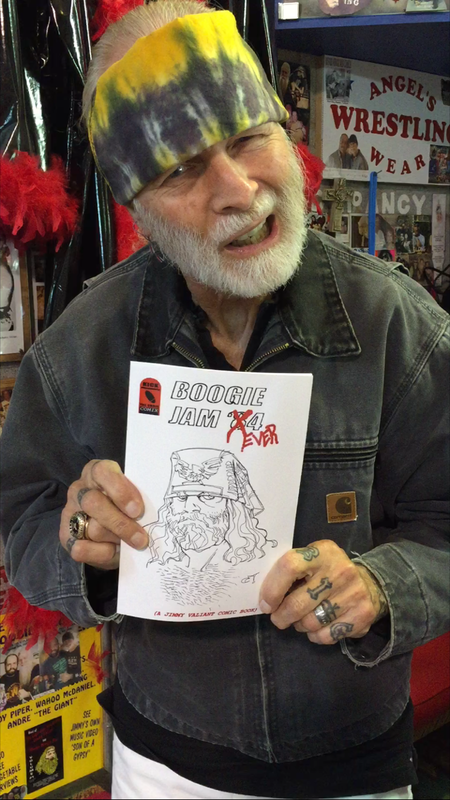 Jimmy Valaint w/his Boogie Jam comic! Get your copy too! If you can dream it, Angel can make it, just like the awesome creations pictured below! A very special Angel's Wrestling Wear creation! Read more on the official AWW website ﻿HERE﻿! 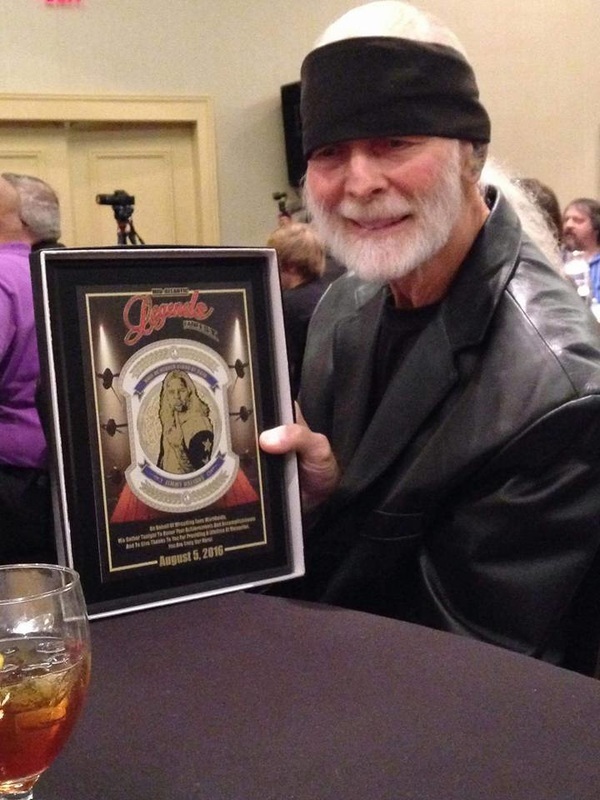 Congratulations to Jimmy Valiant on being inducted into the NWA Legends Fanfest Hall of Heroes! What a wonderful, well deserved honor! Thanks for being a hero to so many for all these years! 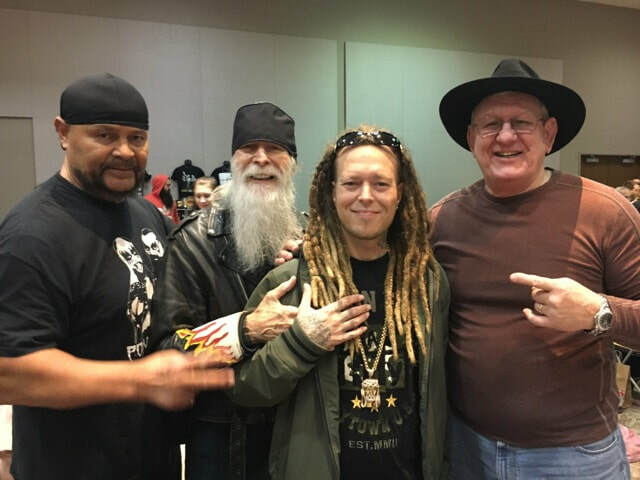 BWC Legends & elite instructors Shawn Christian, Scotty Rocker & Rick Kelly w/BWC webmaster Magnet Man & BWC Founder Jimmy Valiant. Honored to be a part of this wonderful family! "I'm looking forward to seeing all the great New England fans, friends, and fellow pro wrestling buddies. Big Joe has the best lineup I've ever seen. 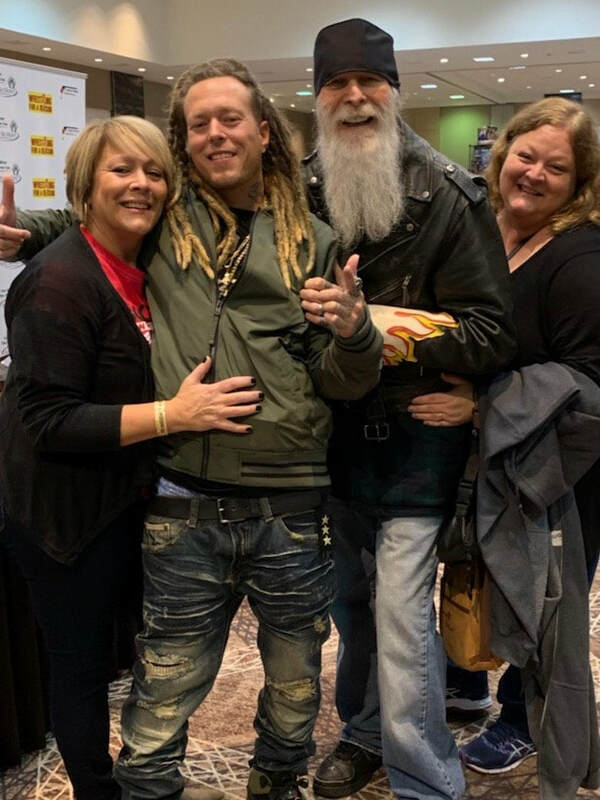 Don't miss June 7th and 8th for his New England Fan Fest 2019. 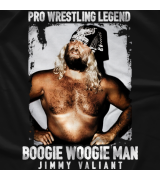 Handsome Jimmy The Boogie Woogie Man Valiant. New England Hall Of Famer 2018". Check out this great footage of a gathering of WWE Hall of Fame Legends at a recent Big TIme Wrestling show. 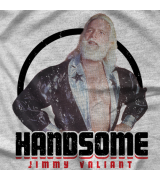 Listen to the great story Mick Foley tells about how Jimmy Valiant inspired his Dude Love character! Check out this wonderful spotlight on our BWC Family member & super talented professional photographer, Jared Soares, featuring a recent trip to Boogie's Wrestling Camp! 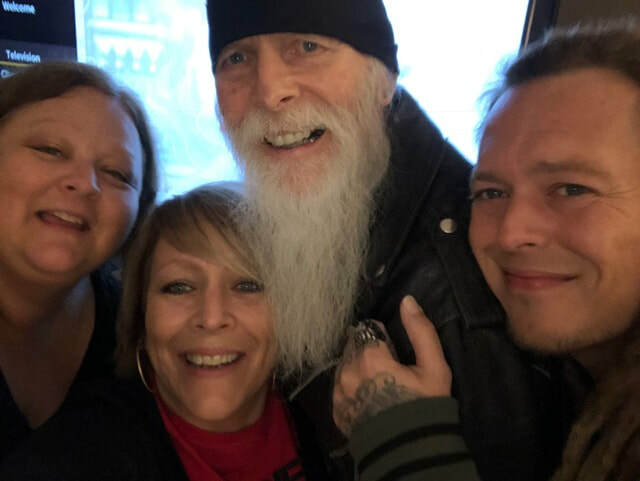 Check out this amazing collection of awesome pics & precious memories from Robin & Dana's recent Thanksgiving trip to see their Dad, Jimmy Valiant. Thanks so much to Robin for sending these great images! Thanks so much to Robin & Dana for the wonderful visit w/your BWC Family! Can't wait to see you again! 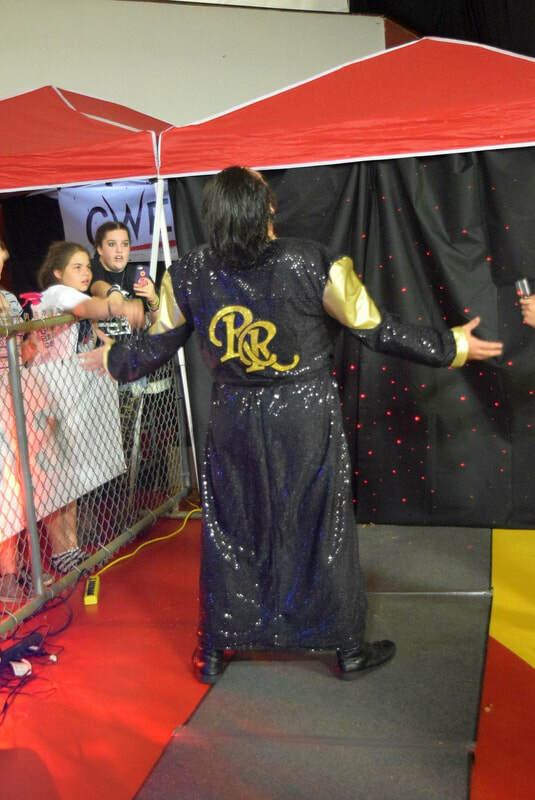 ​Hi Angel and Jimmy, I told you I would send you pictures from my night of wearing the robe you made for me. To say the least it was a "HIT!" I was definitely "STYLIN N PROFILIN!" all night long. And we also got to meet with none other than Jerry "THE KING" Lawler !! I told him that you made my robe for me and he was amazed by how it turned out. 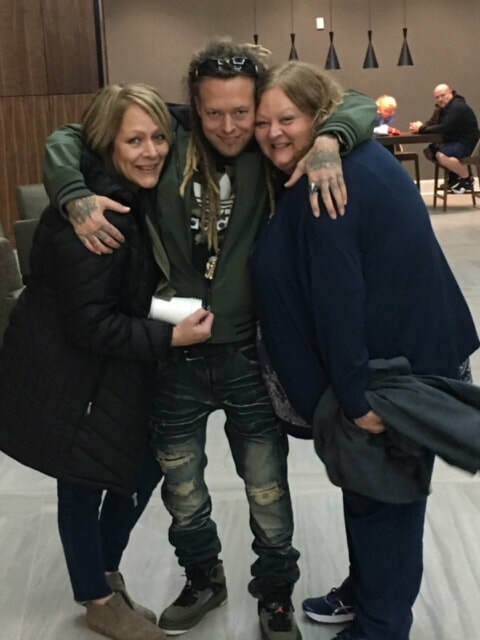 Told him how awesome you two had been with me. The King said to be sure and give my best to Handsome and Angel. Check out this awesome spotlight on Boogie, Angel & BWC! 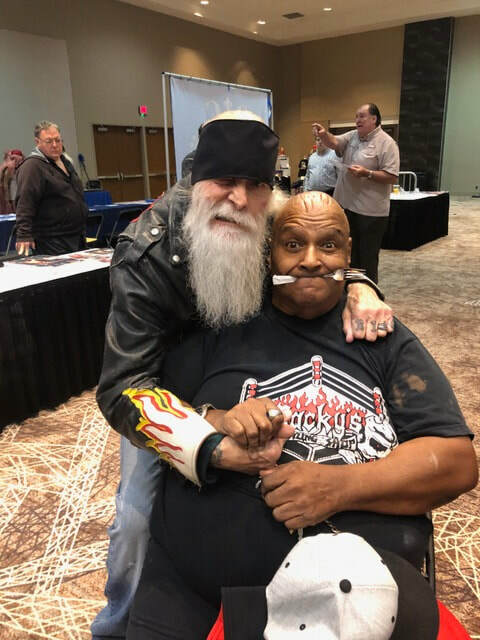 Very special thanks to Boogie's new BWC brother, Knux, for making a huge 1,500 mile trip from Rhode Island to Shawsville on his Harley just to wish WWE Hall of Famer, Jimmy Valiant, a Happy Birthday! 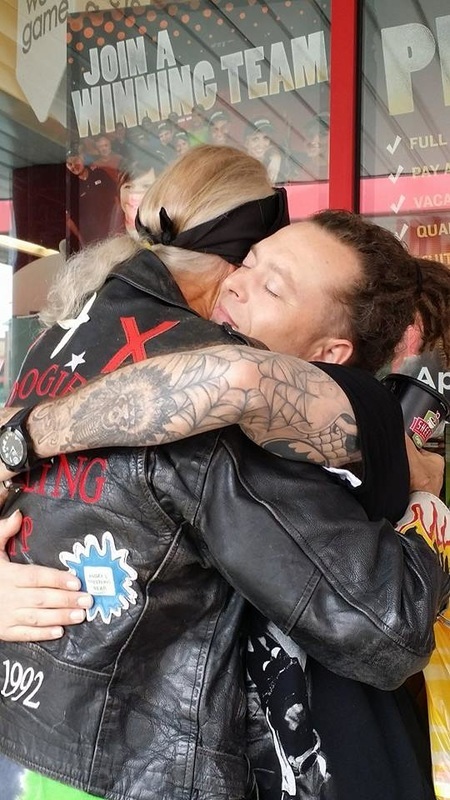 Check out Knux's own words about his adventure: "Please tell Boogie that Knux is back in Rhode Island after a 1500 mile motorcycle ride to Boogieland. It was an experience I will never forget. Jim was my childhood hero and the kindness he showed me was wonderful. He took the time to listen to my stories and answer questions about wrestling and life. 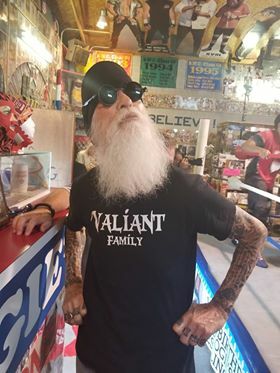 Jimmy Valiant will always be the person I most look up to. Thanks again Boogie." 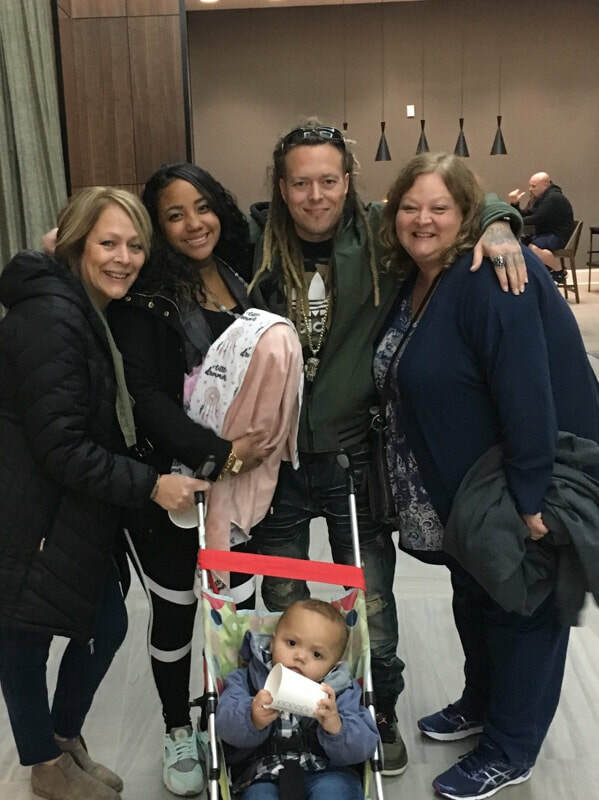 Thank you Knux for making the trip & for letting us know you got home safe! Stop by any Sunday! Thanks for the visit Knux! You are Valiant Family & BWC Family now for life! Check out this great video of James Hand interviewing former BWC student & honorary graduate 'Hangman' Adam Page for The Roman Show! WELCOME NEW BWC FAMILY MEMBERS BRAYDEN, JENNIFER & LATHEN! 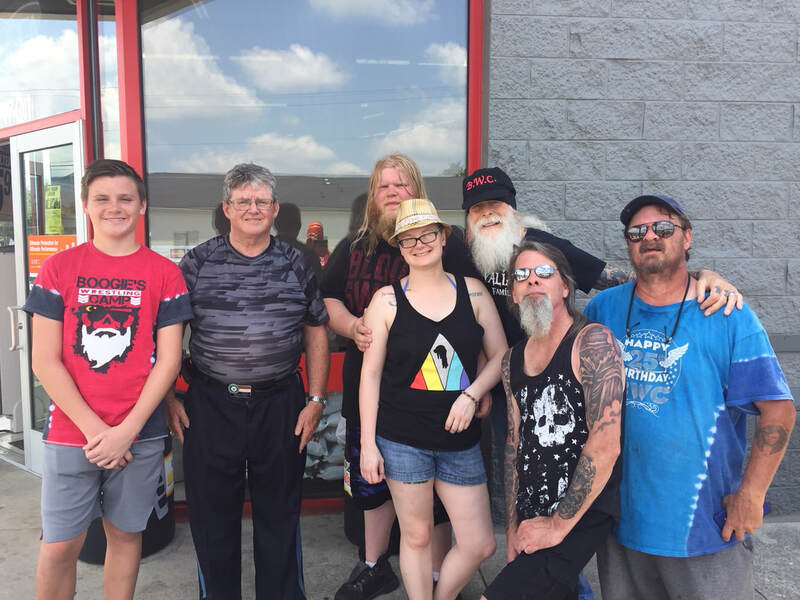 "Jen, Lathen, and I were privileged enough to travel to Shawsville Virginia to visit 2 of our newest family members to Dying Breed Diesels. 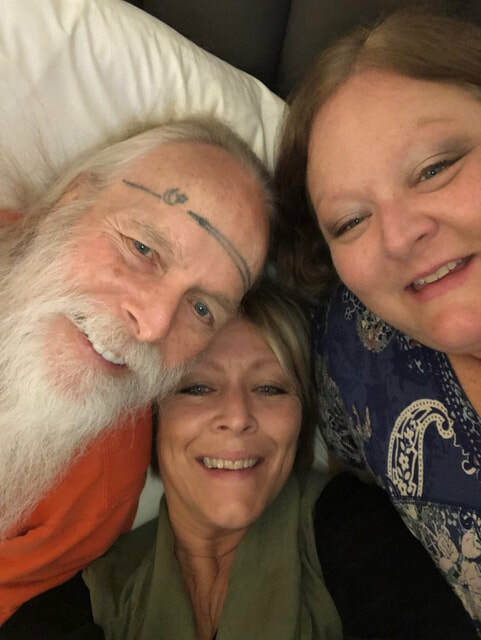 Those 2 family members are Jimmy Valiant and his beautiful wife Angel. Touring their awesome wresting museum and training camp in the mountains of western Virginia was both exciting and peaceful. Jimmy is a WWE Hall of Famer, and has wrestled for every major wrestling organization all over the world. I idolized this man as a kid, and after meeting him, with his genuine, loving, and kind nature, I'm here to tell you I still do. What a beautiful environment he and Angel have created. Rather you are into wresting or not, I urge you to take your family to Shawsville Virginia and visit Handsome and Angel yourself. What an awesome experience. Enclosed in my pictures is the address and contact information. You can also Google BWC Wresting Camp. I personally can't wait to go back. It felt like visiting family. Because it was." Thanks so much for the kind words Brayden! Welcome to the family! Hope to see you soon at camp! 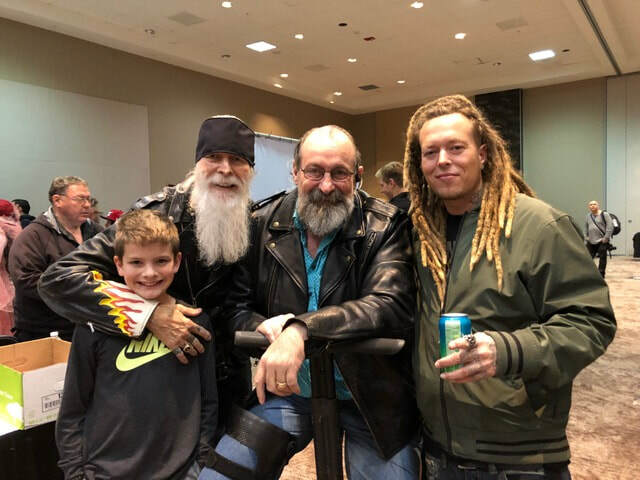 Boogie w/Lathen & Brayden of Dying Breed Diesels at BWC! The 6th Annual BWC Car Wash was a total blast! Thanks so much to everyone who stopped by to support BWC & drove off in a nice clean vehicle! Thanks so much to the many BWC Family Members who came out to put in the hard work to make the event a complete success! Pictured above are only a handful of the many BWC Family members who showed up to lend a hand during the course of an awesome day! Thanks so much to Auto Zone for graciously hosting the event! Can't wait for next year! WRESTLEMOJIS UPDATE! 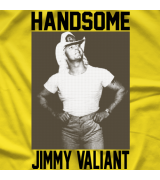 FEATURING JIMMY VALIANT & MANY OTHER WRESTLING STARS! Available now for download on both Apple & Android devices! Below are the links to their respective Google Play and iTunes App Store pages! 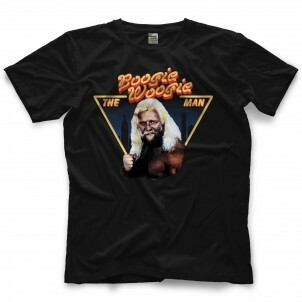 Roster of wrestling stars includes: The Boogie Woogie Man Jimmy Valiant / Handsome Jimmy Valiant! Al Snow! John Hennigan! The Raging Bull Manny Fernandez! Taya Valkyrie! Darewolf PJ Black! Ivelisse Velez! Shane Swerve Strickland! Referee Marty Elias! Download yours today! New BWC T-Shirts are here! THE NEW CAMP SHIRTS ARE HERE! BWC's new red and black tie-dyed camp t-shirts are now available for sale. All sizes small to 5X! Get one before they're all gone! 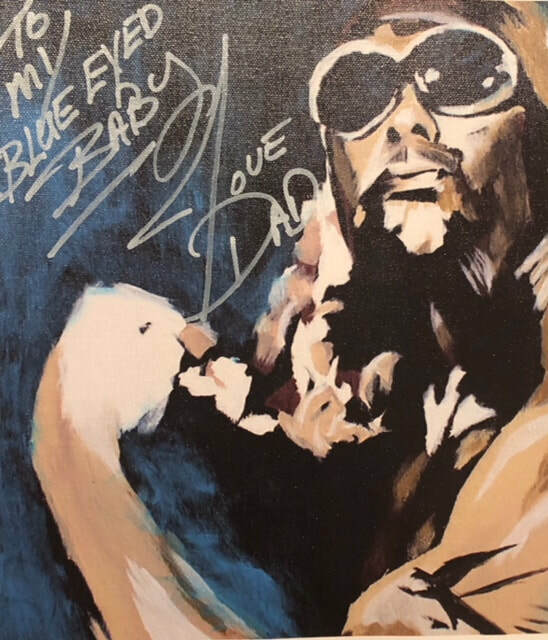 Pick up one in person this Sunday at Boogie’s Wrestling Camp 2916 Alleghany Springs Road Shawsville, VA 24162 from 12 noon till 4 p.m. for only $25.00. 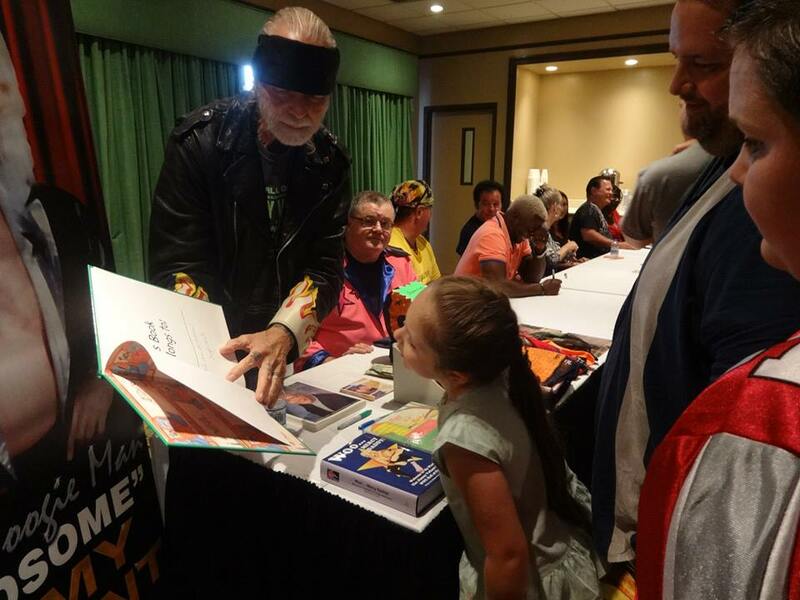 To order send $30.00 by Paypal using jimmyvaliant@outlook.com Please use the “Friends Or Family” section so I won’t have to pay extra fees. Or, send a $30.00 money order payable to Angel Valiant 2916 Alleghany Springs Road Shawsville, VA 24162. Shipping free U.S. only. 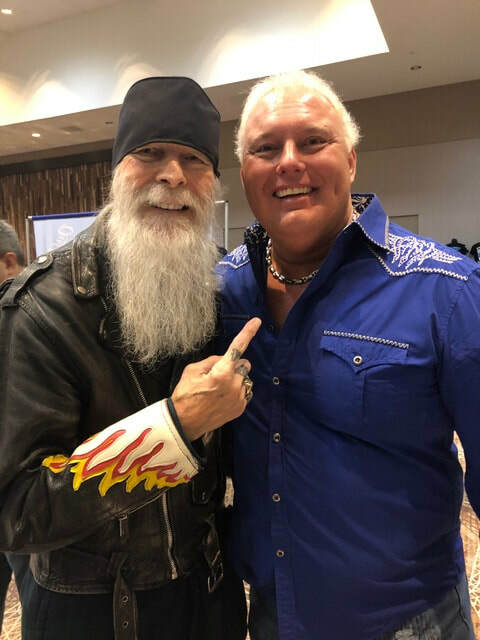 Check out this awesome BWC Spotlight video & Jimmy Valiant interview by Carter from Bro vs Bro! Great job Carter! ​Woo... Mercy Daddy! Click HERE to pick up your copy of Boogie's book! Check out this wonderful picture of dear friends at the recent BWC Birthday Bash! It was an amazing, beautiful day for the whole BWC Family! The Big Beard is Back Baby! Boogie Woogie Throws the Razor Away! It's official! 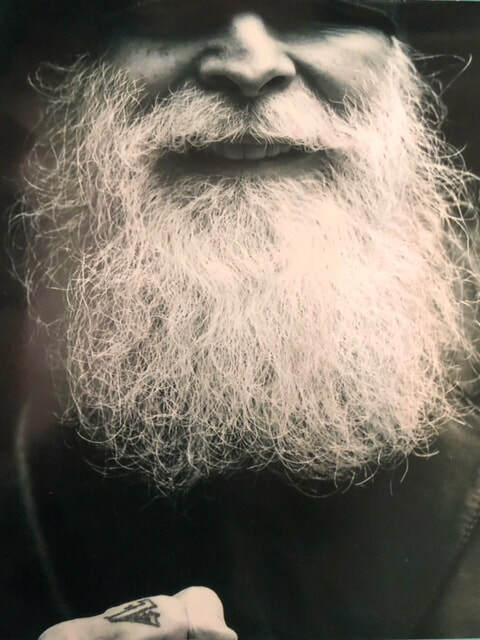 Now that Jimmy Valiant has turned three-fourths of a century old, he has thrown his last razor away & plans to grow his long beard out again! 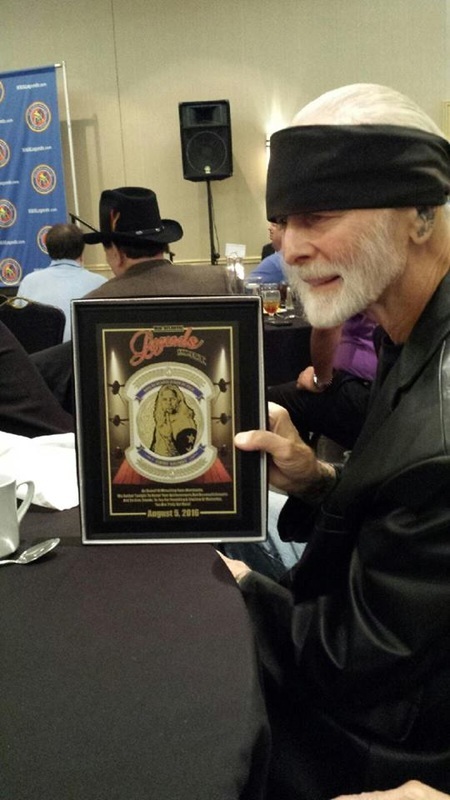 On August 6th, his 75th birthday, Boogie made good on his promise to toss the blade & let the whiskers flow like wine! Joining him in this historic moment were BWC Family memebers Big Al, Capt. Joe, Douglas & Brien. You heard it here first, Boogie fans! Boogie's Birthday Bash Boys! Douglas, Brien, Boogie, Big Al & Capt. 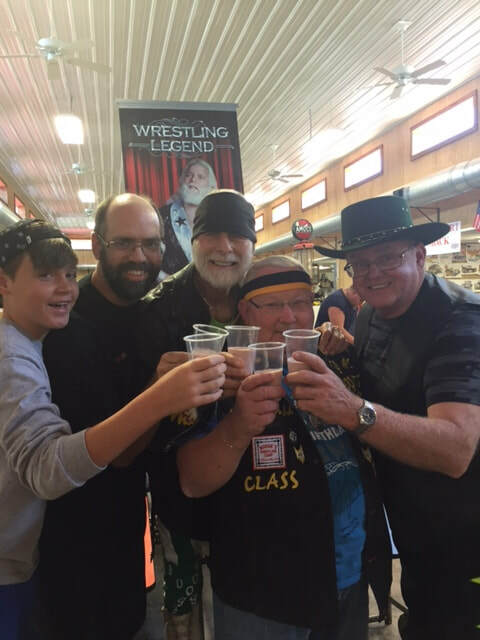 Joe raise a special toast to Jimmy's milestone 75th birthday at the County Line Flea Market! The Birthday Boy From New York City shared his special, extra-thick strawberry birthday smoothie w/his BWC boys! Thank you Jimmy for 75 wonderful years of Boogie Woogie! 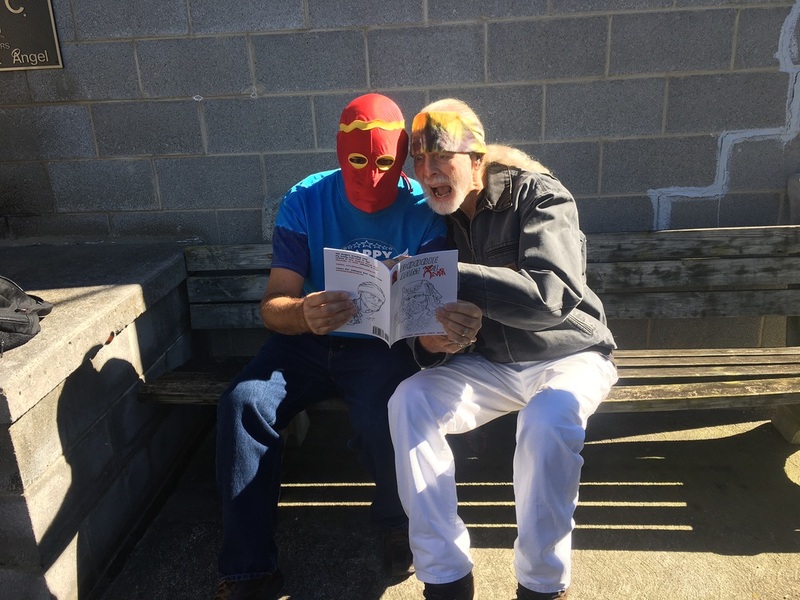 Check out this wonderful glimpse of a peaceful moment of down time in the life of a WWE Hall of Fame pro wrestler. 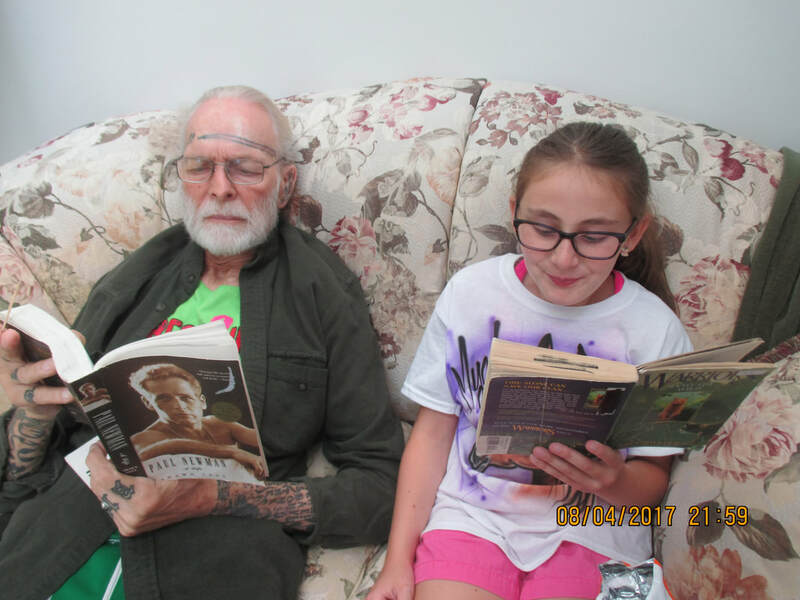 Boogie enjoys some quiet time reading w/his granddaughter, Gracie. Boogie & Angel are firm believers in the importance of reading & the value of quality time spent w/family. 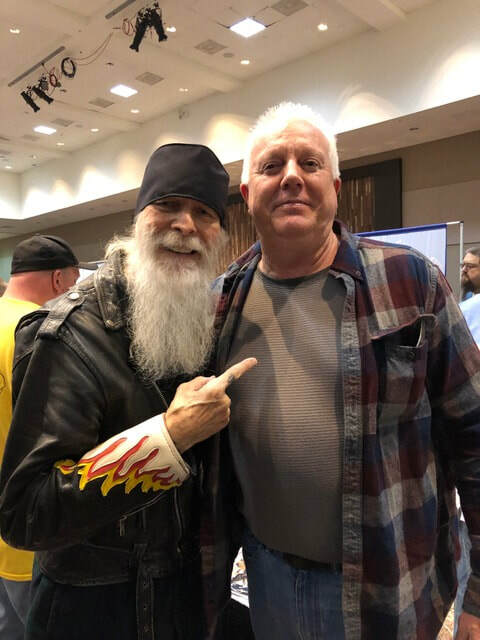 Boogie Fans everywhere can now listen to Jeff Charles' interview w/Jimmy Valiant on PirateRadio1250.com. Click audio archives at top of page. Scroll down to From The Booth..see Jimmy's name and the date June 7th and click there. Go right now & listen over & over! 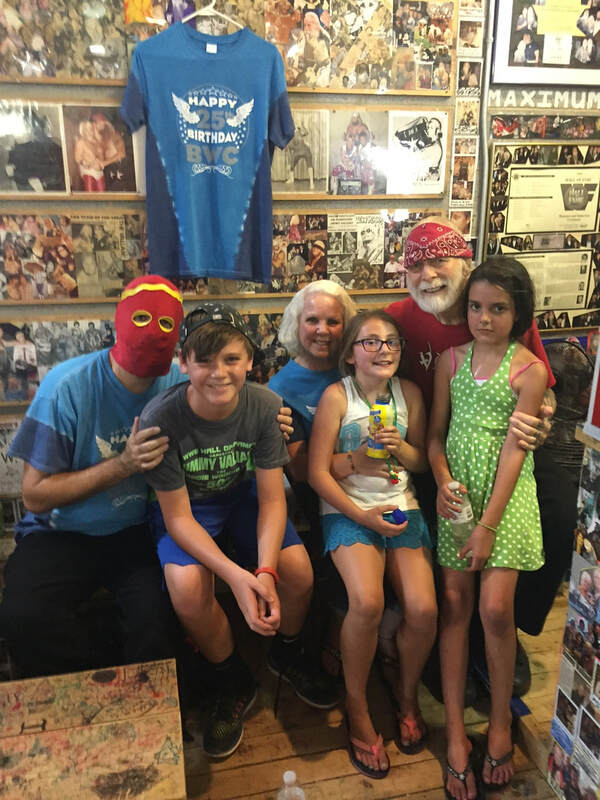 Jimmy Valiant loves his fans! 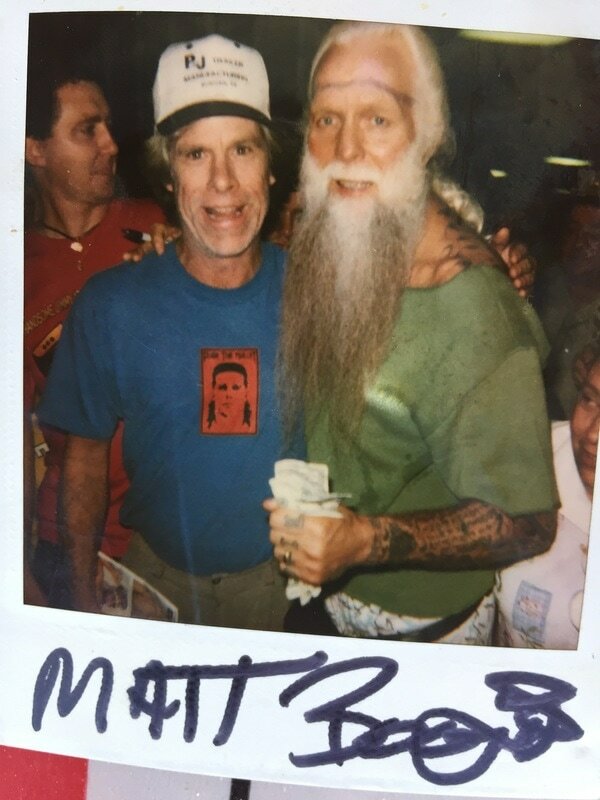 Check out this awesome, classic pic of Boogie w/super fan Matthew Walters from the 'Last Dance' show in Louisville, KY in 2003! Way back in the good old Polaroid days! Matthew & his wonderful family are dear friends & beloved members of the BWC Family for life! Thanks for sharing this amazing memory Matt! 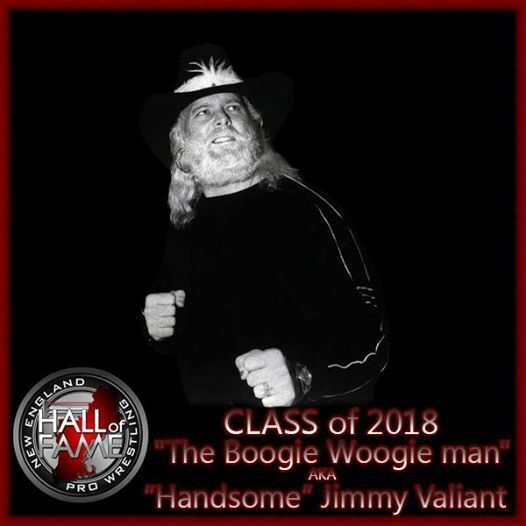 The 5th Inductee into the Class of 2018 for the New England pro wrestling Hall of Fame is the one and only "Boogie Woogie man" Handsome Jimmy Valiant! Class of 2018 venue & date will be announced early next year. 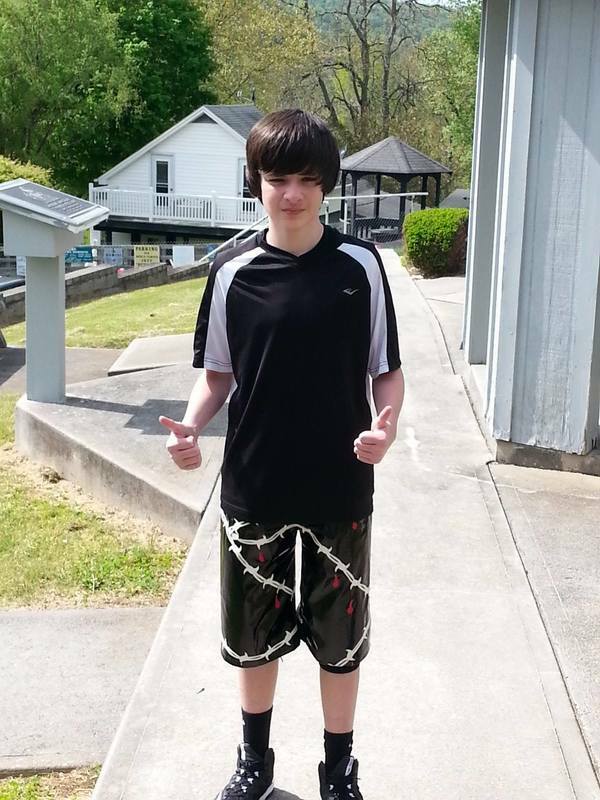 The BWC Family joins together in mourning the loss of our dearly loved brother, Noah Lawrence. You were a true superstar, an amazingly talented pro wrestler & an awesome person. You will be missed so much by all of us at BWC. We know you are in a better place, but we will always miss having you here with us. Thank you for sharing your amazing adventure with us. Rest well and fly high, brother. We love you. Watch Noah Lawrence fight like a true champion in the 2016 Valiant Cup match. Noah eliminated big man Mike Mars w/a perfectly placed & beautifully executed drop kick on his way to a top five finish. It is not at all uncommon to have some of the greatest wrestling stars in the world pay a visit to Boogie's Wrestling Camp on any given Sunday. 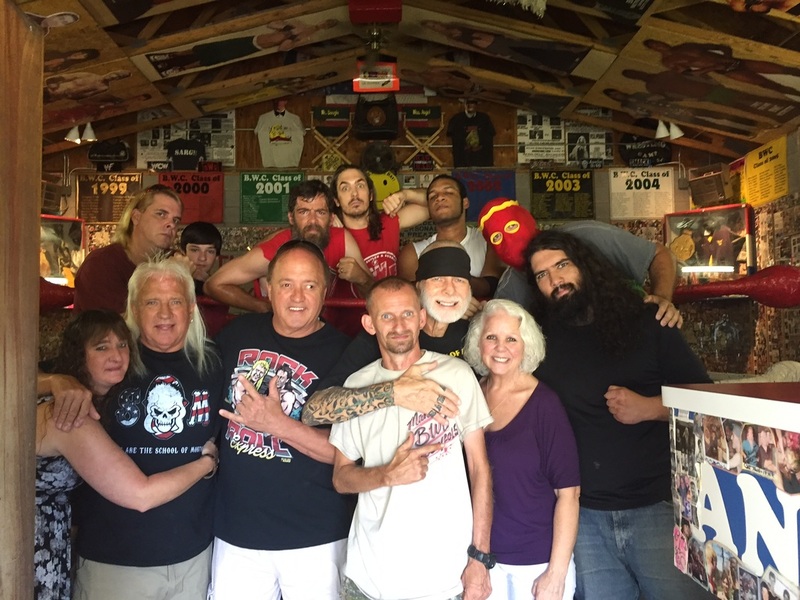 This past Sunday was no exception, as we were honored to have some true wrestling legends as our special guests. Taskmaster Kevin Sullivan & The Franchise Shane Douglas made the trip to camp along w/Big Chris & delivered some incredibly interesting, invaluably informative & highly motivational words to the students, staff & fans. 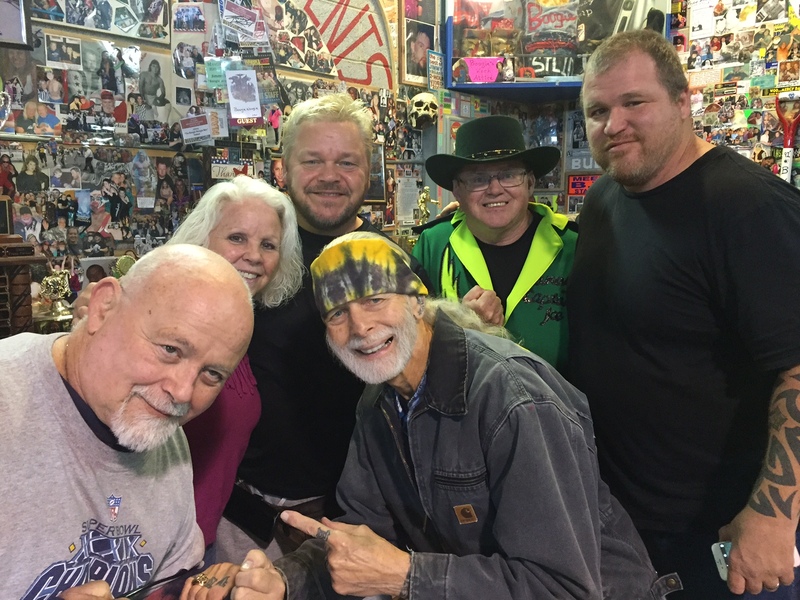 This was followed by an extensive meet & greet session which lasted until every last person in attendance had the chance to get an autograph or have their picture taken w/the legends. As if that wasn't enough excitement for one day, world famous wrestling photographer Jon-Paul LeBlanc along w/Koby Rutland from 4 Corner Photography were on hand to take lots of amazing photos of the big event! 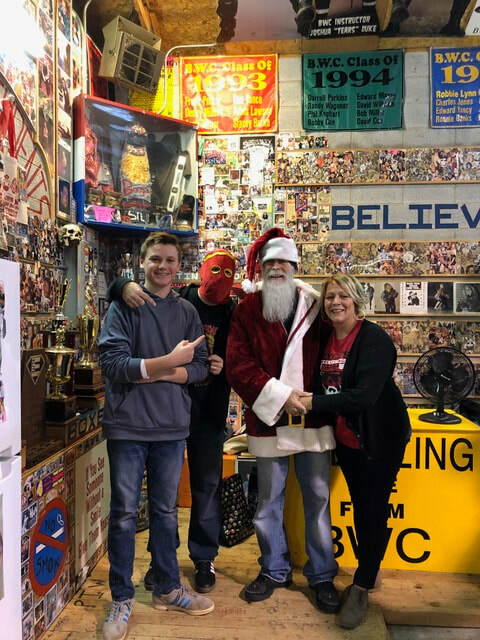 On behalf of Boogie & Angel & the entire BWC Family, thank you so much to Kevin, Shane, Big Chris, Jon-Paul & Koby for another very special day at BWC! Please come back for a visit anytime. We hope to see you again very soon! Bo-Time profiling the new BWC 25th Anniversary shirt. Mama Bo-Time and Papa Bo-Time got their shirts also. You can get a Small thru X-Large for $20 or 2X 3X 5X for $25. Add $5 for shipping and handling. 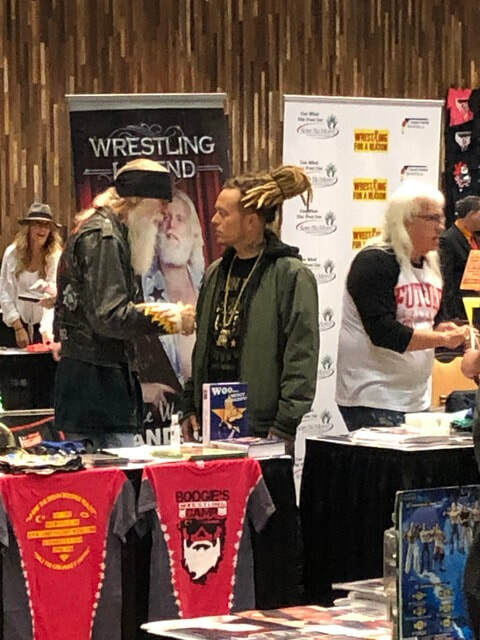 ​www.jimmyvaliant.weebly.com or Come to the camp and visit or check us out at a show or meet and greet to save the $5 shipping. 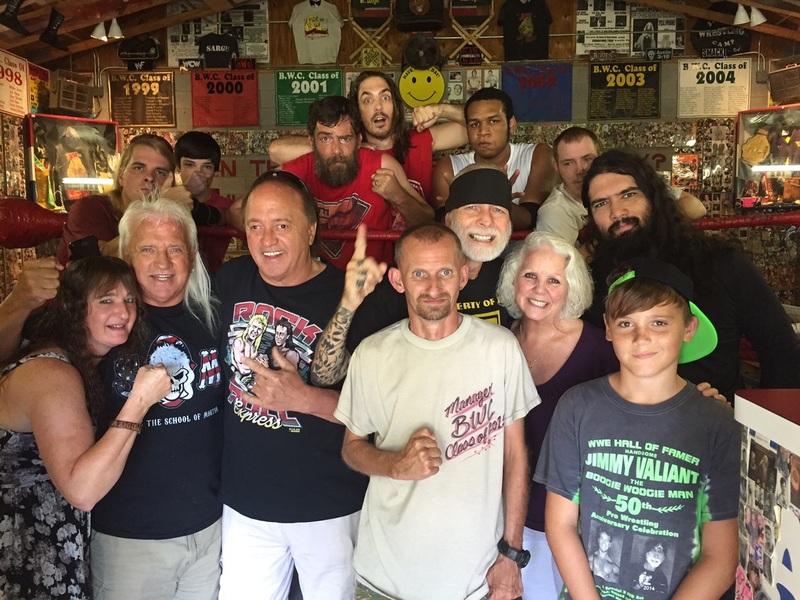 Jimmy & Angel Valiant invite you to visit them any Sunday from 12 noon to 4pm at Boogie’s Wrestling Camp in beautiful Shawsville, VA. Come watch the students train, visit the Hall of Fame Museum & so much more. When the training sessions end you will see Boogie’s students apply what they have learned as they face each other in a special wrestling show featuring several matches. 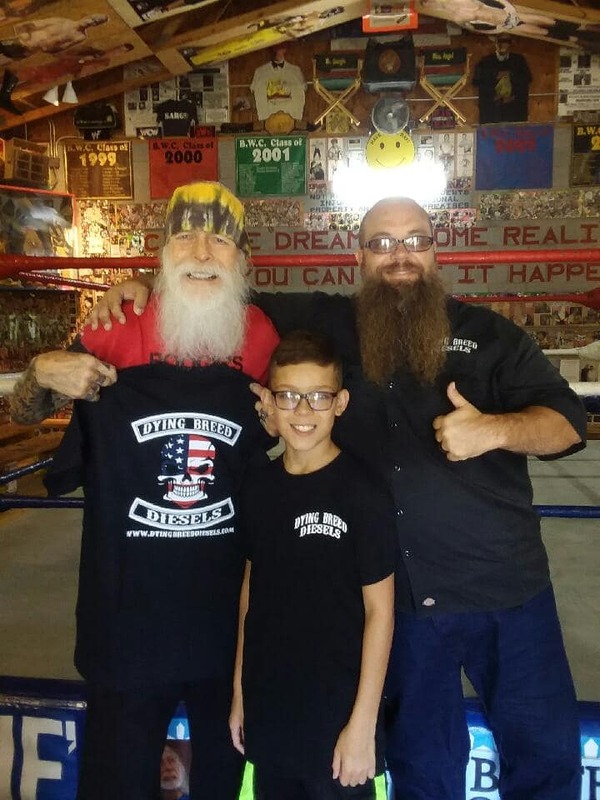 If your dream is to become a pro wrestler then come be trained by WWE Hall of Famer, Jimmy Valiant. Cost is only $250 down & $20 per session. Graduation is held each year on the first Sunday after Labor Day weekend. From I-81 take Exit 118 toward Shawsville. Go about 8 miles until you see Meadowbrook Library and turn right onto Alleghany Springs Road. Continue for another 6 miles and you will see the Camp on your left. We welcome you to come be a part of the BWC family! 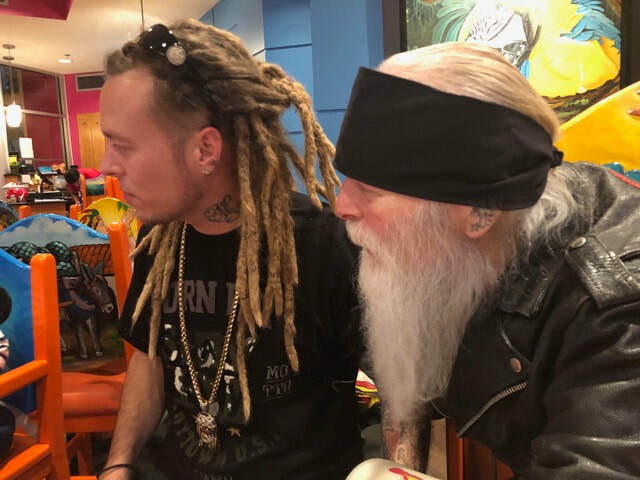 Check out this great footage of Jimmy Valiant talking about the origins of his famous Boogie Wagon! See the Boogie Wagon in person at Boogie's Wrestling Camp's Annual Graduation Ceremony on Sunday, Sept. 11th, from Noon to 4 pm in Shawsville, VA! Special thanks to Michael Elliott for putting this awesome Boogie clip together! 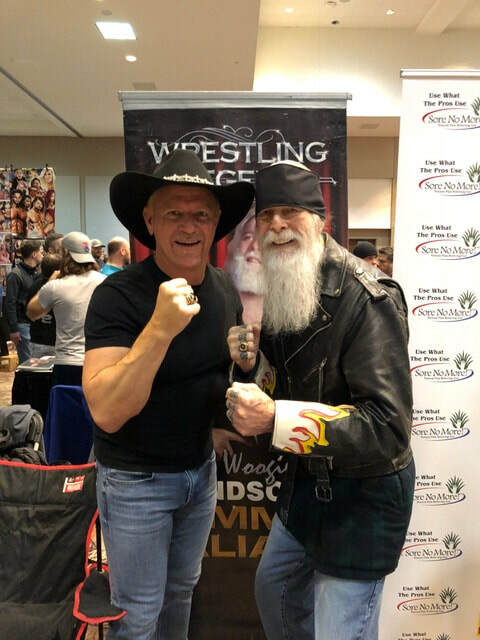 Yesterday at BWC, my son Lil' M & I were walking to the Hall of Fame Museum to take in all the wonderful wrestling history it holds, when we were surprised to see two BWC Hall of Fame Legends walking down the sidewalk right toward us. It was none other than Ricky Morton & Robert Gibson of the multiple time world champion tag team The Rock N Roll Express! Ricky & Robert were in town for a wrestling show at the nearby Starlite Drive-In Theater, but they took time out of their busy schedule to stop by camp to get a tour of the grounds & to visit w/Boogie, Angel & the BWC Family, It was certainly an honor for everyone in attendance to have such a popular, legendary, accomplished tag team pay a visit to our wrestling school. Thank you Ricky & Robert for stopping by to say hi. Thank you for all the great wrestling memories that you continue to make! Yesterday was just another example of the fact that you never know who might show up at Boogie's Wrestling Camp! Come out any Sunday from Noon to 4pm to find out for yourself what makes BWC such a special place! Can't wait to see you here! Wrestling Live from BWC Episode 4 is HERE! Don't miss it! Check out the exciting fourth episode of this awesome new wrestling show! Thanks for watching! You never know who might show up at camp any given week. Just yesterday we were honored to have 'The Franchise' Shane Douglas stop by to visit the camp & watch the students train. Shane gave an inspirational talk & also provided a wealth of information about the new pro wrestling project he is a part of. Thank you Shane for taking the time to stop by & visit w/us. 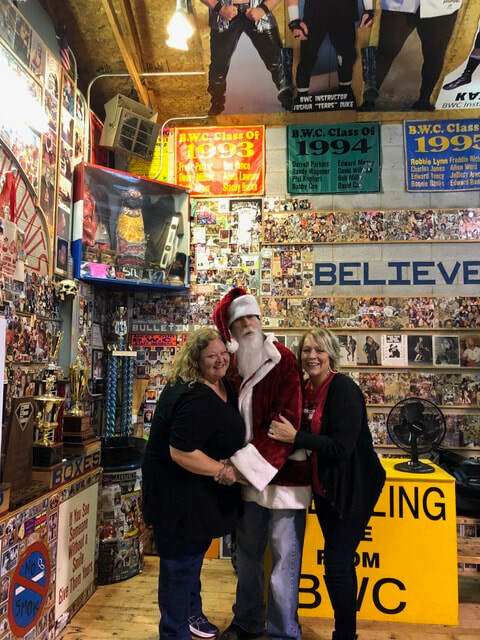 It just goes to show, you never know who might show up at BWC! 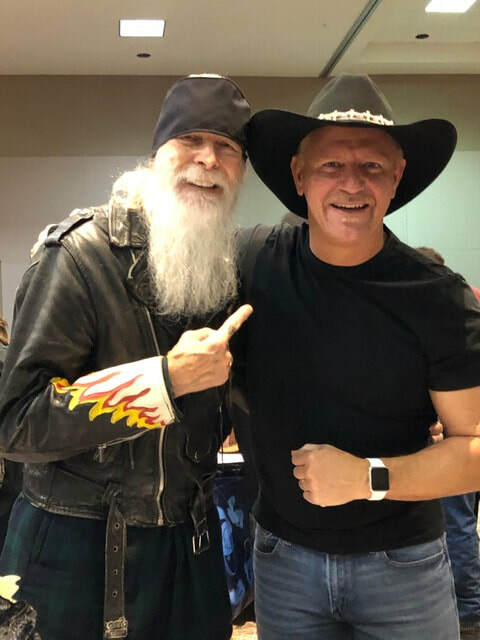 From Baby Doll to Barbarian to Ronnie Garvin to Road Warrior Animal to Shane Douglas & so many more legends I could name, they have all taken time out of their busy schedules to see for themselves what a special place BWC truly is. Don't miss out the next time a big wrestling star makes an appearance at Boogie's Wrestling Camp. & you can watch the wrestling stars of the future train in the BWC ring, 52 Sundays a year from 12 noon to 4pm. Every Sunday is a good Sunday to come to camp because it is always a wonderful place to be & you never know what might happen or who might be there. So come be our guest, any Sunday, from 12 noon to 4pm & be a part of something very special! We'll see you at camp! 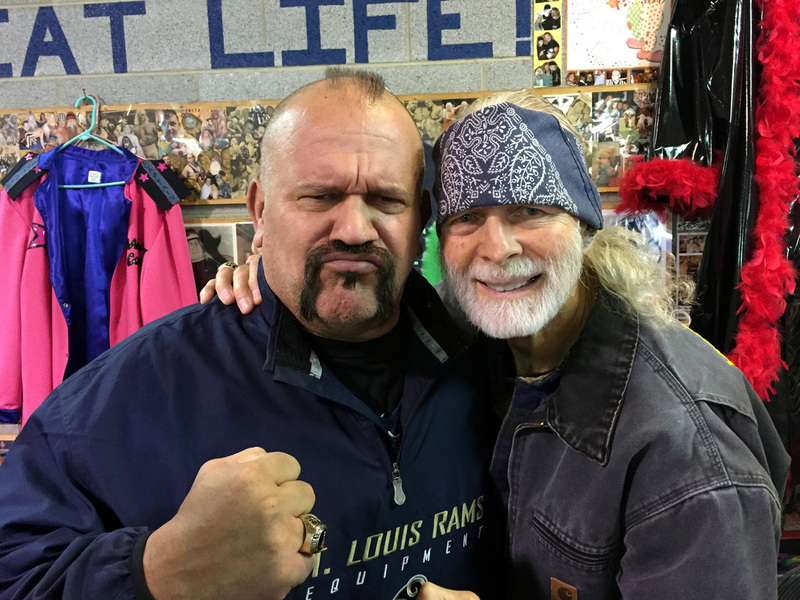 A great time was had by all who came to camp today to see WWE Hall of Famer, Road Warrior Animal! Animal greeted fans. posed for pictures, signed autographs & gave a very inspirational speech to the students & all in attendance! On behalf of Boogie & Angel & the entire BWC Family, thank you Animal for taking the time to visit our camp & spend a beautiful day w/us! for a look at some of Angel’s expert work. Most orders are completed within 7 days. AWW since 2001. Check out this picture of Boogie showing Angel's Piggy In A Blanket book to a young fan. Pick up your own copy HERE & read it to the precious children in your life. Great for children of all ages! Check out this great footage from Handsome Jimmy Jr.'s recent visit to BWC. 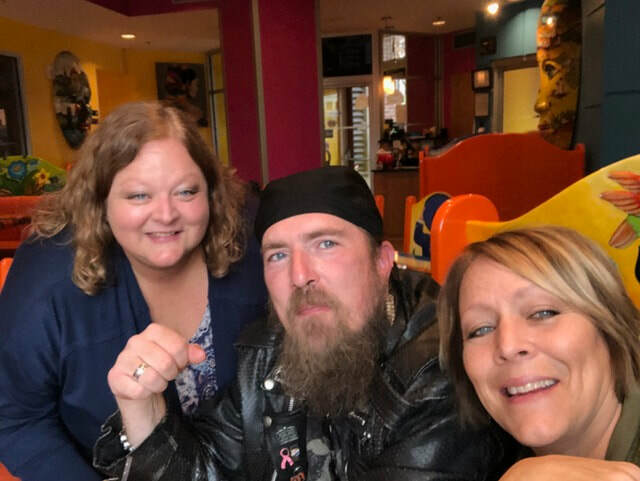 Janice, Boogie, Handsome Jimmy, his sons Kool & Blade, Brien, his son Douglas & wife Gala were all sharing a nice dinner at El Rodeo in Rocky Mount, VA when the two 10 year old birthday boys (Blade, Aug. 20th & Douglas, Aug. 22nd) got a nice birthday song & a big surprise! 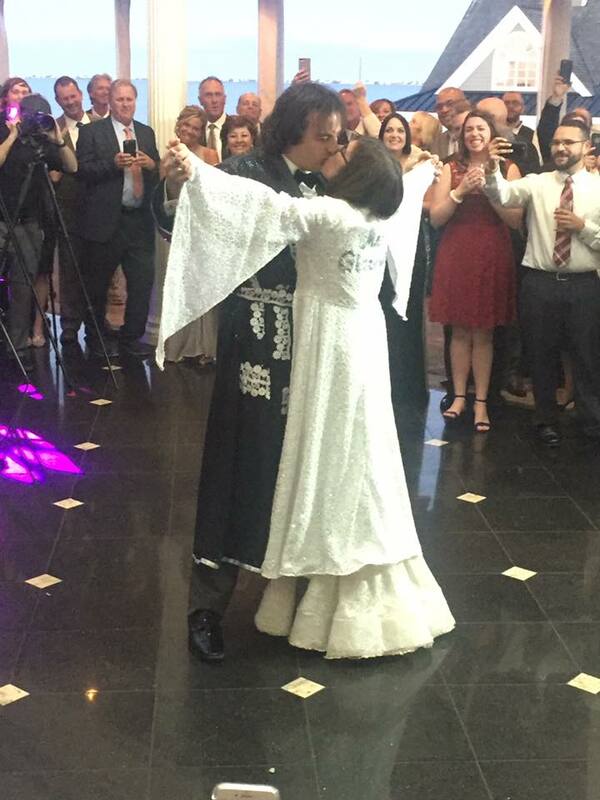 Thank you Janice for capturing this wonderful memory! 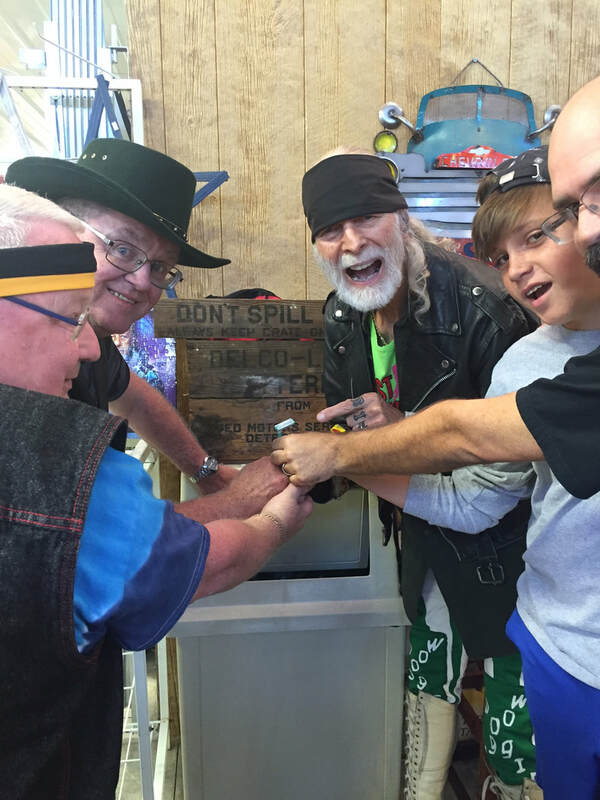 Check out this cool commercial for Happy's Flea Market in Roanoke, VA, starring Handsome Jimmy 'The Boogie Woogie Man' Valiant! Check out this amazing spotlight on Angel's Wrestling Wear from the Fox 21/27 Morning Show! A nice slideshow presentation about BWC by Ginger Henley! Check out this great production about BWC by Janice Coffman! Have fun reading Boogie Comics, watching our Short Films, playing the Boogie Trivia Game, and looking at Photos! 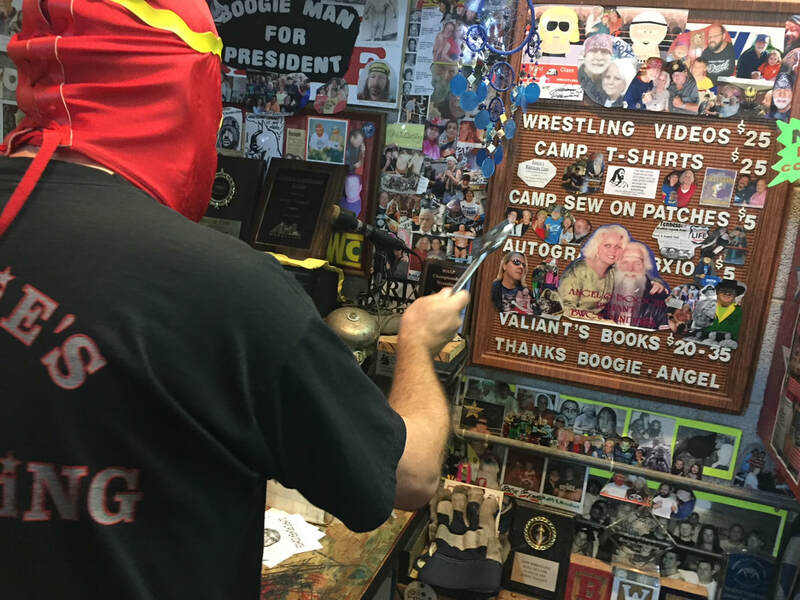 Browse our Boogie Souvenirs and stop by AWW for custom wrestling gear and read the latest BWC news in our Blog!